The table below is designed as a quick reference tool to help you identify and fix the problem you have with your leather . The table is suitable for all leathers including furniture, upholstery, car interiors, clothes, shoes, boots, handbags, luggage and many more. Repeat protection cream application every 3 months. Repeat the application of Protection Cream Every three months for complete protection. If at any point when removing the stain you begin to see the colour of the leather being transferred onto the cloth, stop immediately and allow the area to dry. Once dry, you can continue to remove the stain. If there is any colour loss after extracting the grease, you will need to restore the colour using either the Leather Re-colouring balm (if your leather is absorbent) or the Leather Colourant Kit (for non-absorbent leather). Repeat the application of Leather Protection Cream every 3 months. 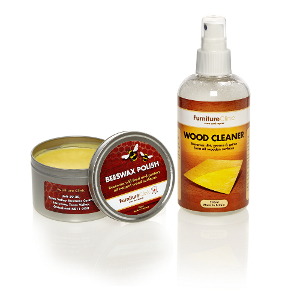 This option is designed to repair scuffs or scratches of any size on absorbent leather. To determine if your leather is absorbent or non-absorbent, drop a small amount of water on to an undamaged area and leave it for around 8-10 seconds. If the water soaks in to the leather it is classed as absorbent, if much of it remains on the surface, you have non-absorbent leather. If you find you have non-absorbent leather, please refer to the relevant guide provided on this page. This option is designed to repair scratches on non-absorbent leather, where the damaged area is smaller than a tennis ball. To determine if your leather is absorbent or non-absorbent, drop a small amount of water on to an undamaged area and leave it for around 8-10 seconds. If the water soaks in to the leather it is classed as absorbent, if much of it remains on the surface, you have non-absorbent leather. If you find that you have absorbent leather, please refer to the relevant guide provided on this page. This option is designed to repair scratches on non-absorbent leather, where the damaged area is larger than a tennis ball. Note: As you are not restoring the entire item with the Colourant Kit, you should clean the whole surface of the leather and protect it with the Leather Ultra Clean and Protection Cream. This will ensure that any dirt or grime on the surface of the leather, that may make the colour deviate in appearance from the original, is removed. Doing this will produce a much better result from your repair, allowing it to blend with the surrounding leather seamlessly. or Sending sample for match. To determine if your leather is absorbent or non-absorbent, drop a small amount of water on to an undamaged area and leave it for around 8-10 seconds. If the water soaks in to the leather it is classed as absorbent, if much of it remains on the surface, you have non-absorbent leather. If you find that you have non-absorbent leather, please refer to the relevant guide provided on this page. If you find that you have absorbent leather, please refer to the relevant guide provided on this page. To protect your leather after making the repair, apply Leather Protection Cream every three months. Repeat the application of Leather Protection Cream every three months. 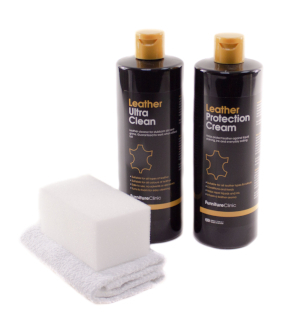 To maintain and protect your leather after repairing the damage, use the Leather Care Kit. Regular cleaning and application of Leather Protection Cream every three months will extend the functional life of the leather item and keep it looking fresh and new. NOTE: Remove all of the peeling before applying the finish.